Happy Easter weekend! Here's some stuff you need -- NEED -- to make your Bunny Weekend complete! Starlust Egg Hunt - the hunt kicks off today and ends on Sunday. My satellite store is participating -- just look for my Easter Egg! Hint: it's outside the shop. Look carefully! Here's what you'll get - for FREE! - when you find that egg! The Easter version of the Laryn Comfy Chair! I also hopped (heh) around to a few places that I knew would have awesome Easter stuff...and I was right! Take a look at just a smidge of the goodies you'll find at MB-Creationz! Over at Belle Belle, my darling Leyla has all sorts of delicious and adorable things for you! 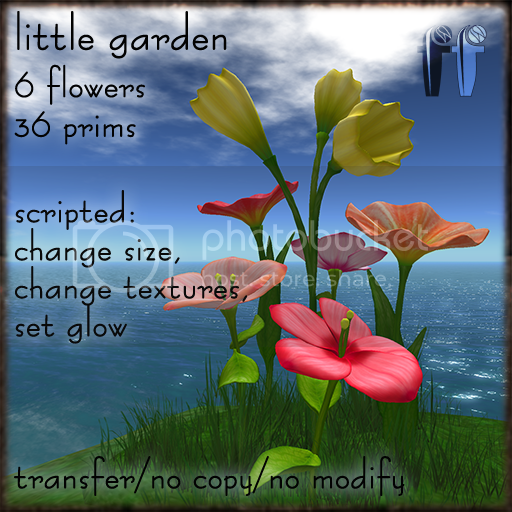 Fallingwater Cellardoor of Shiny Things and Fallingwater Flowers is back with some new gorgeous flowers for your spring garden! Hop on over, and other bunny-related comments! 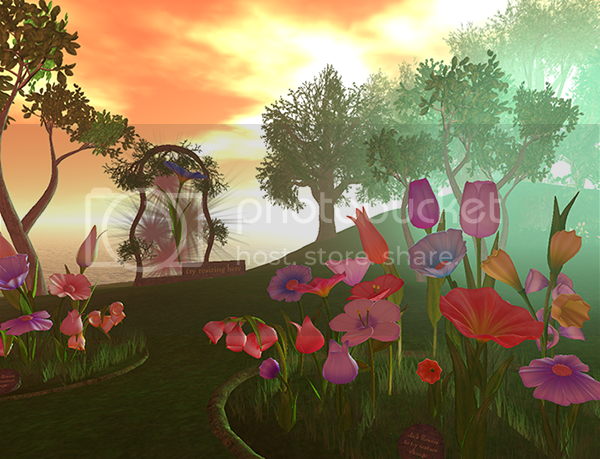 Newer:Spruce Up Your Space for AprilOlder:Whirlwind updates...NOW!